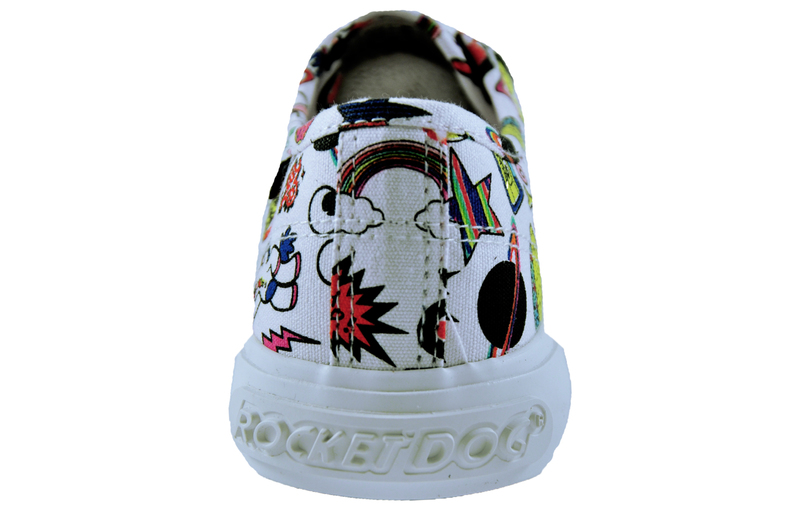 Add some colour to your summer with these Rocket Dog Jumpin Swag trainers. 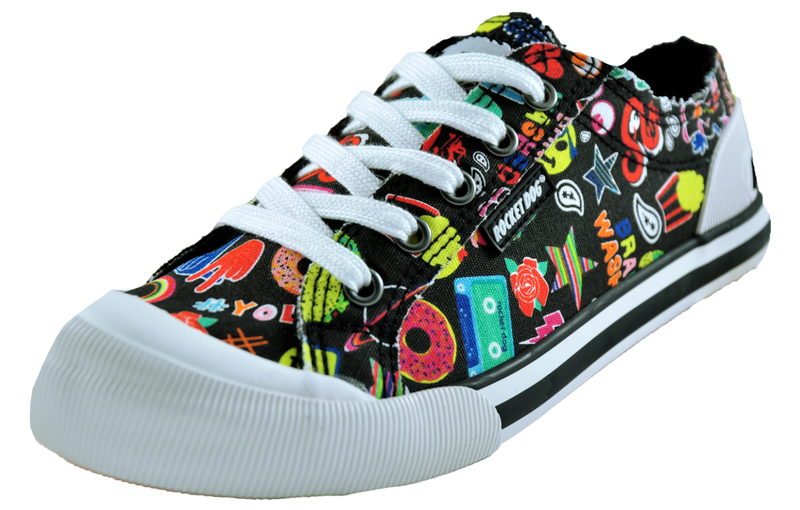 Boasting another on trend graphic detailing to the upper, these women’s plimsolls are the ideal choice for casual everyday wear. 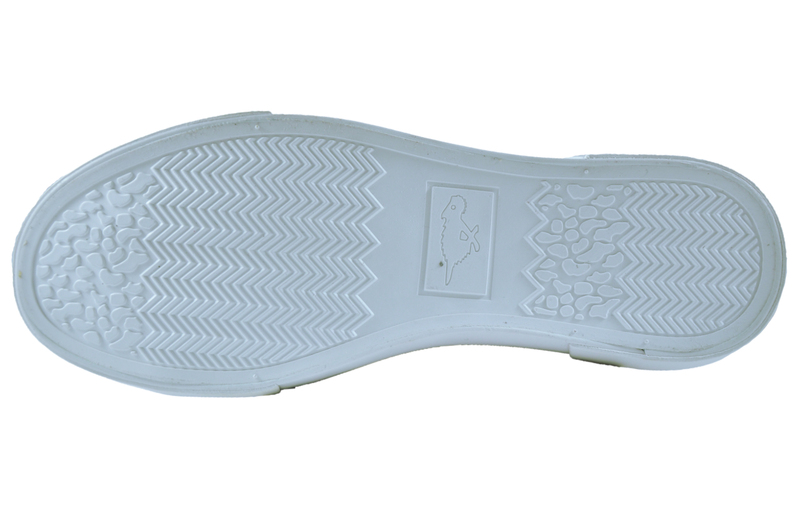 Featuring a lace-up fastening and an on trend vulcanised rubber outsole, these Rocket Dog plimsoll’s will be your go-to footwear choice for all casual summer occasions. 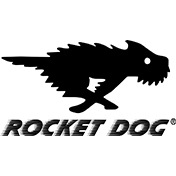 These Rocket Dog plimsolls feature branding to the side and heel for authenticity fused with an inspired vintage styled rubber sole for that classic designer look. 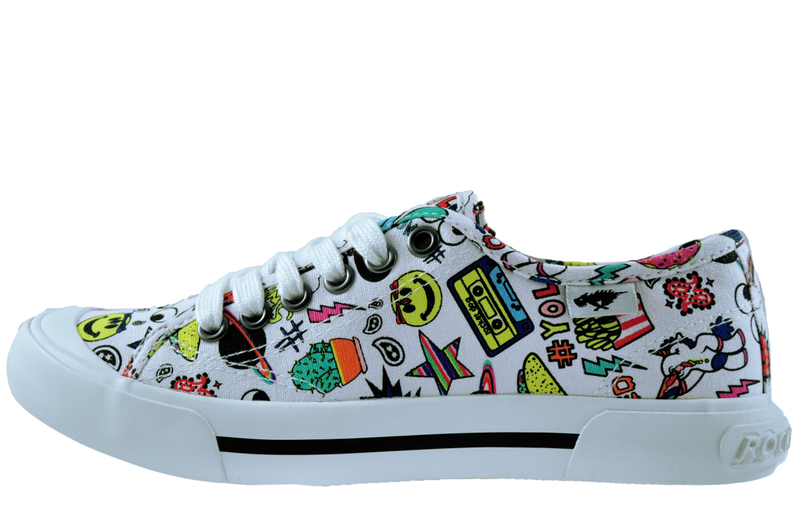 In a sport chic design these plimsoll pumps are versatile to suit all your seasonal getups whether you’re heading on holiday or for casual wear these Rocket dog plimsolls are the perfect fusion of both comfort and style.